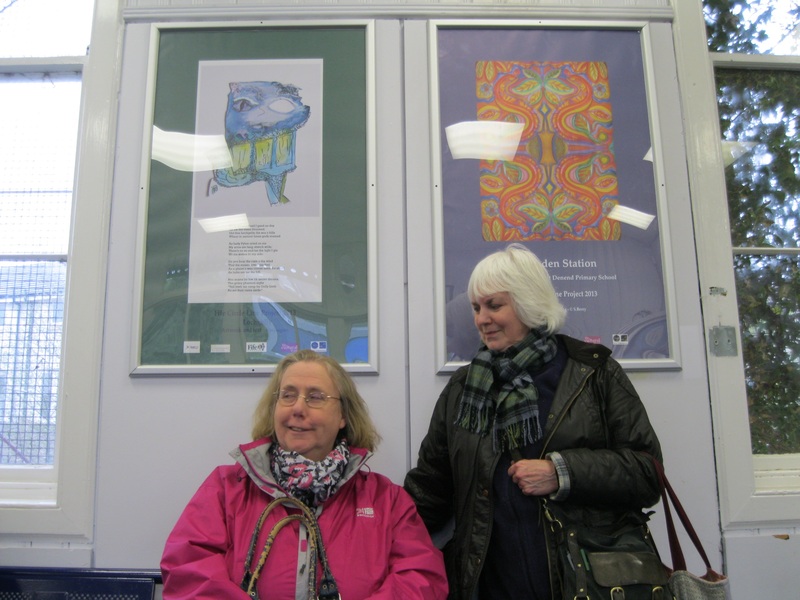 Rail Art and Writing posters by Sheena Berry and Maureen Sangster. 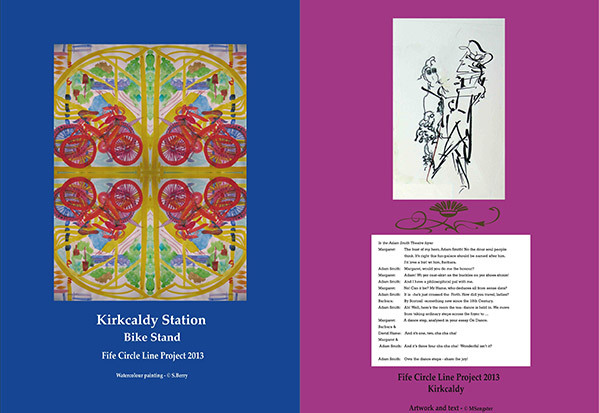 The exhibition Circle Line – ConverStations can be visited at any time. 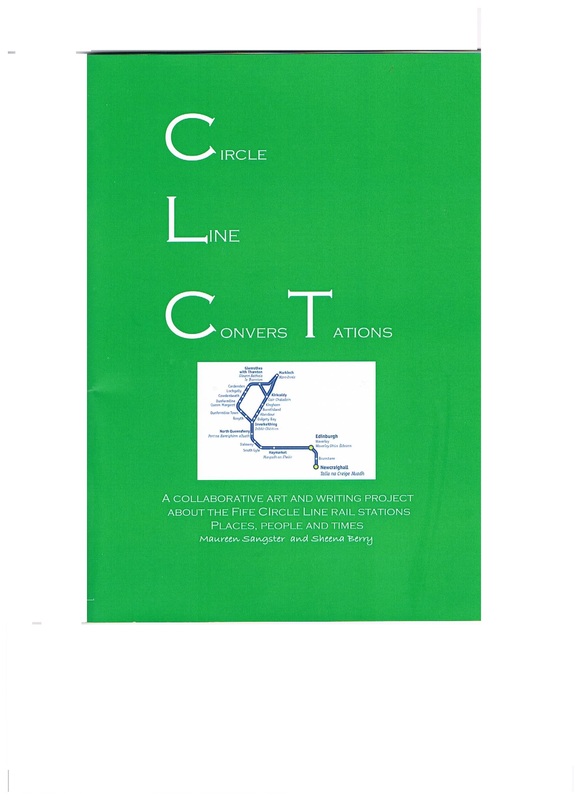 22 Rail Art and Writing posters celebrate 11 towns on the Circle Line. 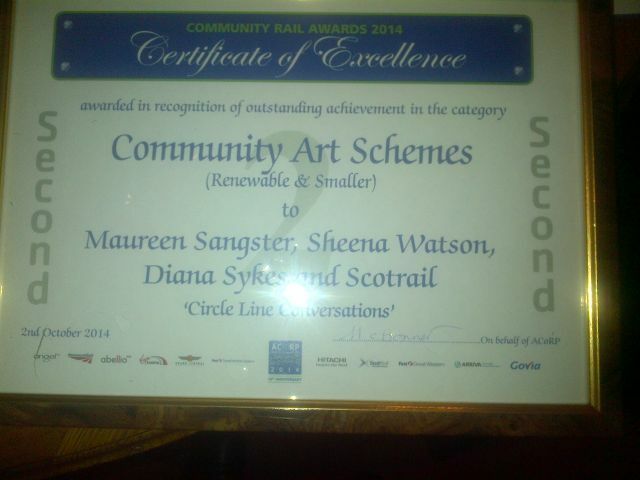 The celebration won a Community Rail Award in 2014. 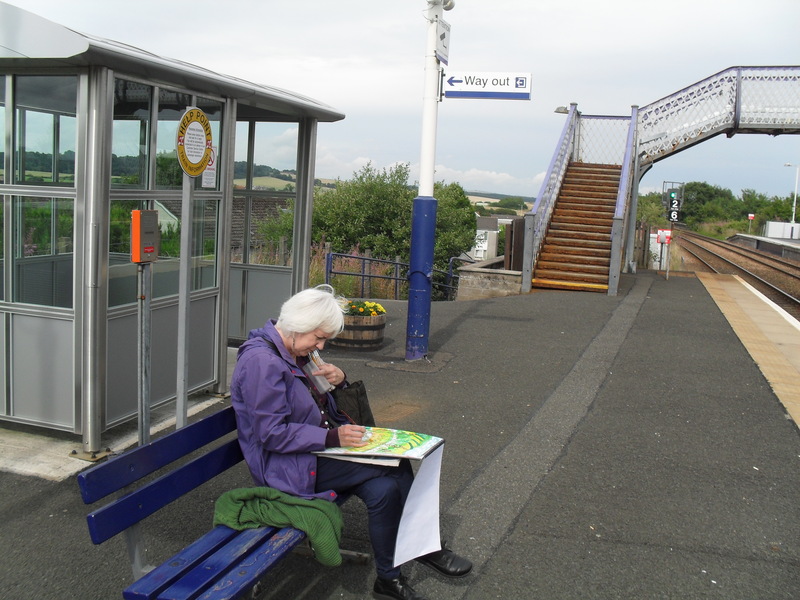 Sunday 5th May 2pm – 3.30pm. 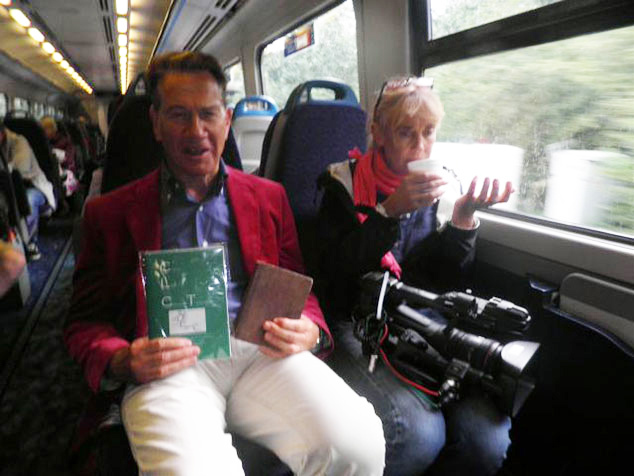 Louisa Bell and Maureen Sangster will read from the publication that accompanies the exhibition of the same name, co-created by Sheena Berry and Maureen Sangster. 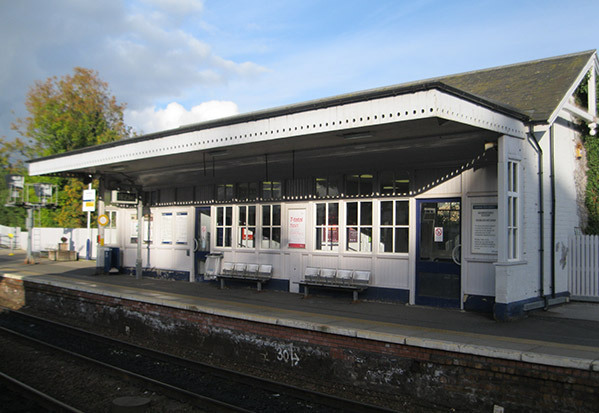 The reading takes place in the southbound platform waiting room. 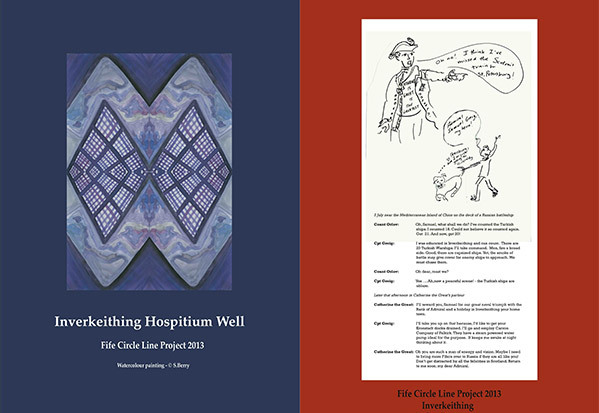 The reading will include poems and fictional historical conversations that depict historical events and people connected with towns on the Circle Line. Sheena Berry will also be present.